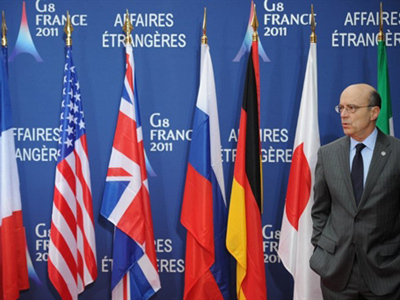 G8 countries’ foreign ministers have failed to settle on a unified position on proposed military intervention into Libya. 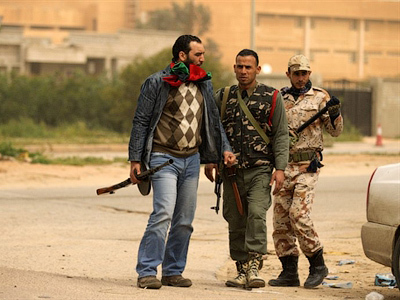 Gaddafi’s troops are pushing eastwards against the rebel forces. 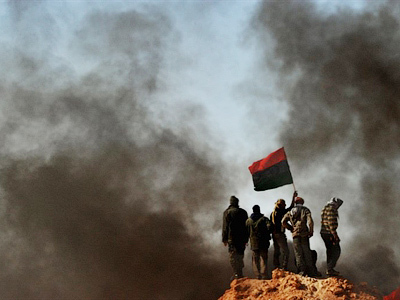 The discussion will be continued in the UN Security Council later this week, which is to consider several options on how the international community can mount pressure on Muammar Gadaffi. Those include a sea transport blockade and other possible sanctions. However, there is general skepticism over the use of force, particularly turning Libyan airspace into a no-fly zone, advocated by France, Britain and the Arab League. French Foreign Minister Alain Juppé in an interview regretted the delays, which favor the Libyan dictator, giving him more time to advance on the opposition. “If we used military force last week to prevent some attacks and neutralize the several dozen aircraft in their possession, then maybe the luck would not have turned against the opposition,” he said. US Secretary of State Hillary Clinton, who met Libyan opposition leader Mahmoud Jebril on Tuesday, was reluctant to pledge American military support or arms supply to the rebels and suggested that the Arab League should take initiative in forcing a flight ban in Libya. Russia is among the skeptic nations, although it imposed a number of economic sanctions against Libya. 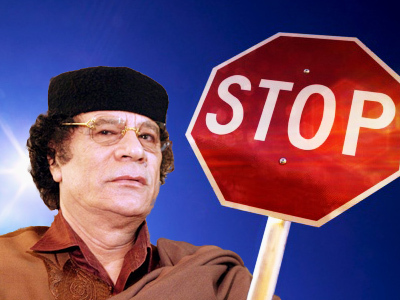 On Monday, Gaddafi and a number of his aides and relatives were declared persona non grata by Moscow. In an interview to Italian newspaper “Il Giornale”, Gaddafi warned that foreign invasion will untie the hand of religious extremists from Al Qaeda, whom he earlier accused of supporting the opposition. He also said European leaders have stabbed him in the back by siding with the rebels. Meanwhile, government troops are preparing to lay siege on the city Ajdabiya, which has a crucial position defending the only way a ground force can approach rebel stronghold Benghazi.